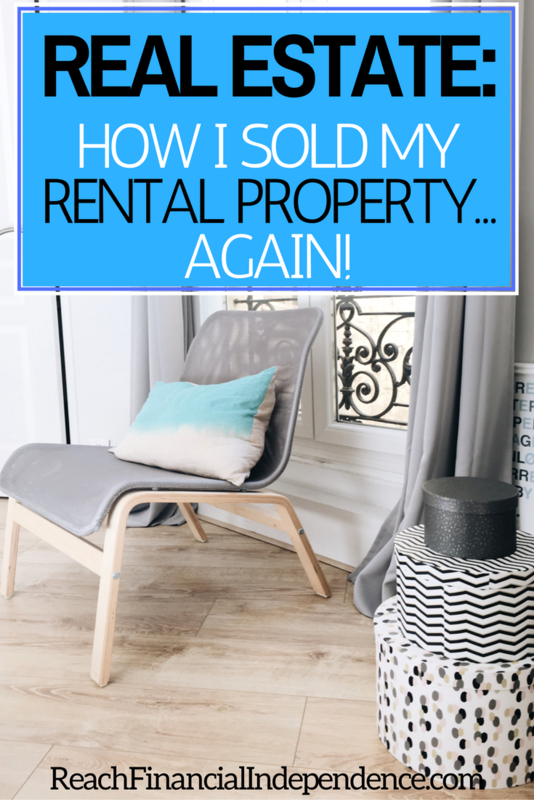 Real Estate: How I sold my rental property… again! It has been a tense week last week, mainly because of the sale of my studio flat in the suburbs of Paris. I had found a buyer back in June, and the legal contract took months (his lawyer’s fault) to write, so we eventually signed a sale at the beginning of August. You can think that between mid June when he made the offer and we started writing contracts, and August when we signed, we would have cleared everything there was to clear about the sale. WRONG. His lawyer asked me for a lot of paperwork, which is standard, but when after two months, I was already on edge because the process was so slow and costing me time and money , he started asking about info he already had, I lost my cool. He thought he would have me do the job he was getting paid for, knowing that I was traveling, had little internet access and even less access to the paperwork. I replied very dryly to him, saying that his client was perfectly right to ask dumb questions, but it was his job, not mine to figure out the answers. I still wrote to the buyer with the answers, not to compromise my sell, but seeing his lawyer hesitating, he got cold feet, and I lost my sale. It is legal here once you sign the agreement to have a 7 days cooling-off period. So there I was, three months of condo fees, and taxes later, with no prospective buyer, and my empty flat, still on my motorcycle trip abroad. I had plans to come back to Paris ten days later, so it was not such a big deal, I was able to put the ad a few days before, and thought about the pricing. Last time, I had put the ad around $60K and sold for $56K. I didn’t want to have to negotiate and lose time, so I put ”non negotiable $58K”. Just because some people still think they can negotiate. I wanted to get at least the $56K but was lucky that six people wanted to visit the next weekend and the first girl who saw it accepted the $58K! She even had me sign a paper on the spot confirming that I would sell to her and the selling price. We were supposed to sign a formal agreement with lawyers that same week. We went both with the same lawyer to ease up the process. WRONG again. The lawyers told her that she would probably have to pay $5000 in condo fees that hadn’t been approved for the past years, and she freaked out. Me too, as I had not idea, so I spent a whole evening checking the condo’s accounting reports, found no such thing and called her back. She was right to say that she had troubles believing me against the lawyer. I managed for her to come to the lawyer’s office where after three hours of me exposing all the accounts, the lawyer recognized he was wrong and there would be no such fee. But lazy lawyers hadn’t drawn the paperwork, so we lost another 10 days (i.e. $150 for me) in the process. I was also scared that she would keep looking and find something cheaper/better/any other excuse not to sign. After what seemed like an eternity, we went back to the lawyer’s office last week and signed the agreement! She still had 8 days to cool off and could back up at any time, but those 8 days are now expired!! The only very unlikely reason why she may not go through is not getting her loan but she is a government worker so not too worried on that front. Since I had plans to buy some land in Guatemala, I was very anxious that the sale comes through, not only to get the much needed money to buy something else, but also because my flat had been empty since March and I didn’t want to bleed any more money in fees and taxes than I have for the past six months. I am so grateful because all things considered six months is not so long to sell a flat. I had it advertised with agents for months but they did nothing apart from asking me to lower my price 30% to get an easy sale and they would lower their commission $100… again I had a hard time staying polite with those. No I can move on and get busy with my Guatemalan land! My offer has been accepted so I am officially a landowner! Rent for 9 years: I am taking off admin fees, condo fees, insurance… Since they were taken out by the admin and every 3 months I was getting a money deposit for about $800. Total: $28800. Selling price: $56000. I was lucky the flat doubled in price about 5 years ago, so I tried to sell but had a hard time since the tenant wouldn’t move out, and now the prices are about the same as 5 years ago, I am just getting a bit more. Or about 17% per year, non compounded as I was spending the rent money as it went. What I will really have in my pocket is $56000 after $30700 invested 9 years ago, so that’s more like 5.5% compounded, still a pretty healthy return. Pretty good, uh!! I am very grateful that I was able to buy that studio flat right out of college, though I was trying to borrow at the time and buy bigger, and I would probably have made a bigger profit, yet the bank didn’t let me borrow. At the time I could have kept the money on my bank account and tried to buy later, but as I was abroad that would have been more complicated. And the return was much better on the flat. Yet those last months it was a real pain to deal with the managing agency and trying to sell, so I’m really happy I found a buyer and hopefully in two months, I’ll receive that big check, and use it for home building on my new land. Congrats on getting the sale finalized! I’m sure that was a HUGE relief and you are now all ready for your move to Guatemala. Thanks for including my link as well! Thank you, and congrats to you too! It is a relief, I was dreading a cold humid winter in Paris, just waiting on the sale… Pretty sure I would have had to lower my price or wait until spring, not a good time for real estate right now. Congrats on the sale! Why are there so many lawyers involved in the process? Home buying seems so different in other countries, I’d love to hear more about what their roles in the process are. I can’t believe you can buy a flat for less than 60K in Paris! In Australia you would need to live in the middle of the bush to get prices like that. I remember when I first started looking into property I saw a 1 bedroom studio apartment (ground floor) about 15 miles outside of the city and it was going for $230,000 (that’s still cheap by the way). You can! It is a 20sqm flat, on the 13th floor (lift works only to the 12th, sometimes not at all), of the biggest condo of the country, about 5500 flats and 20000 people living there. Lots of drug traffic, violence, burnt cars… There is no free lunch, it’s cheap for a reason! But high rental yields make up for it. Thank you! It is a legal requirement, believe me, I would have loved to do without! Good job on the sale! And thanks for the mention! Holly@ClubThrifty recently posted..Saving Money, It All Adds Up…and a Giveaway!!! What a horrendous Saga… Glad to hear it worked out in the end. Unbelievable how clueless professional lawyers are sometimes!! 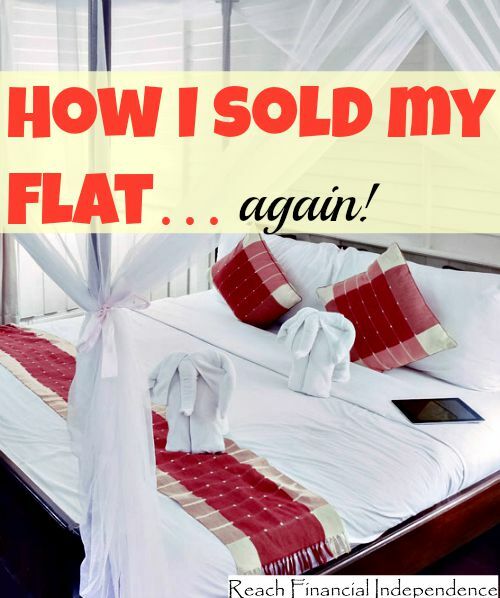 On the first sale we took a lawyer that was not familiar with that condo, but the next was selling flat there every month and still didn’t have a clue!! Good thing it is over now. What is with these incompetent lawyers you keep having to deal with !? I’m glad everything is clear now. Congrats on selling!! I don’t know where they got their degrees… But they are like doctors, supposed to have your best interest at heart and be neutral and bla bla so I am filing a complaint at the bar against the first one who clearly cost me my sale. 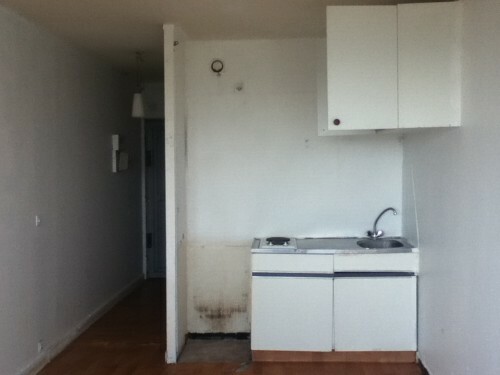 That was quite a trial to sell your flat. It brought back memories of a similar experience that my wife and I had a couple of years ago. We thought we had sold a property to a couple. We went out to a restaurant to celebrate, and the next day the couple backed out of the deal. I guess you just can’t count you’re chickens . . .
No you can’t!! The worst thing is I didn’t, I celebrated 8 days after we signed the first sale. Buyer backed out on day 9, I thought it was illegal, but the 8 days actually start a couple of days after the signing, when you receive a copy of the agreement by registered mail. Anyway, it worked out eventually. Congrats! I can’t believe how difficult that sale was – I’ve had nothing but good experiences with agents and lawyers here in Vancouver! I’m also jealous at the price – at $58k, we would have definitely been tempted to buy ourselves. I think many people improvised themselves as agents with the real estate boom, and never learned about ethics or business at all… glad to hear there are still some good ones. $58K in one of the worst neighborhoods in the country. Think violence and drug traffic. But it is renting for $500 a month at least so not too bad for investors. Lazy lawyers are getting on my nerves. I would be extremely frustrated with the process, but at least you go what you wanted in terms of price. Marissa @ Thirtysixmonths recently posted..Pros and Cons of doing business with friends. That is what kept me calm the second time around… I was thinking anything I do can jeopardize the sale again, so just be patient! Good for you for sticking up for yourself! Even though you lost that first sale, you got a higher buying price the second time around (although that may be null and void after the bills you had to pay in the meantime.) Congrats on the sale!!! There was a small surplus, maybe $500, and the first buyer was paying in installments, that one makes one full payment. So it worked out ok and I am happy to be out of it! Wow, what a hassle. I guess real estate can be tricky in any country. I’m so glad that you get to move on with the next chapter in your life. Congrats! Kim@Eyesonthedollar recently posted..Can You Avoid Spending Money on School Fundraisers? Wow I thought homebuying was screwed up in the US, where we have to pay the seller and buyer’s realtor 3% each no matter what the price of the sale is! This sounds like a pain but I’m glad you got it done..
France is the worst I know. I sold directly but had the agents sold my flat they would have gotten 10% from me! And 10% for the legal work, which is customarily paid by the buyer. In Guatemala I will pay about 2% and that’s it! Thanks Sneha! Hopefully it will help other people! Seems like a lot of trouble to sell a home. Is it like that in other countries and I am just spoiled living in the US? I agree with the lawyer needing to do what he was getting paid for. Where exactly was the flat located in Paris? $56k seems like a good price for Paris. Hi Thomas! I have “only” bought in France and the UK, the UK was much smoother, but I bought new from the building company. And last week I bought some land in Guatemala, I have lawyer friends over there who took care of everything in one day, so it looked pretty easy too! I don’t know why fees and lengthy processes are found in France. My flat was in a city called Grigny, about 15 miles from the center of Paris, known for being one of the worst neighborhood in the country (violence, drugs…) that is why it is super cheap. A 20sqm flat in Paris is about $180000. Aren’t attorneys fun? I can’t tell you how many times I’ve been through that experience. You’re right: when you’re re-doing the job they were supposed to already have completed, it’s time to get angry. It once took us almost a full year to get a house sole. In the meantime, the pipes froze and burst and all of the carpet was ruined! Congratulations on the sale. The intial situation with the lawyer sounds like an absolute nightmare. It can be very annoying dealing with improper lawyers who complicate sale of properties more than they really have too. I am happy you came out on top. Good Work!